Home › Tools › What Is iWriter? What is iWriter? I bet you’re wondering all kinds of things about how much money you can make here or is it a scam? Will you get the good content you pay for? Well, I hope to answer the majority of these kinds of questions within my post here. So, let’s not delay anymore and get right into it. For Writers looking to make money writing. iWriter is a content and article writing service that supplies content for website or blog’s owners and also for writers to write for and get paid for providing the ever important content. Why do people use these kinds of services because not everyone is a writer or has the time within the week to write well written consistent quality content. If you know anything about getting ranked on search engines it is all about content. Content Is King! Content is what drives traffic and in turn drives sales. It makes a lot of sense for a site like iWriter to be around to provide its services to both parties. So, you’re a writer looking to make money by writing from the comfort of your home. I just love the idea of working from home, that is just the introvert in me, and if you love writing this might be just the site you are looking for to make money working for. You’re going to need some information to help to decide if it is a correct fit for you. Premium – Need a 4.0 or higher approval rating and need 30 reviews. This is highlighted in Yellow. Elite – Needs a 4.6 star approval rating and need 30 reviews. This is highlighted in Blue. Elite Plus – This is colored Orange under Project Info under Write Content. Needs a 4.85 to 5 rating. The materials you could be potentially writing for are articles, blogs, website posts, reWrites, and eBooks. The amount of money you make at iWriter is based on the number of words that a client asks for. More words equal more pay. An important note here you will only make 81% of the listed price, due to PayPal fees and Copyscape fees and other fees. Well, how do you get paid for your writing skills? You are paid only through PayPal. You are also only paid 81% of the price listed for each article, as PayPal fees and Copyscape fees are taken out of your pay. These payments are sent in 4 possible time periods. Weekly – Sent out every Tuesday. Every 2 Weeks (Bi-weekly). This is sent out every other Wednesday. Every Month on the 5th. Are you looking for quality content to add to your website? Or are you looking to get an eBook made? Well, iWriter might just be what you’re looking for. 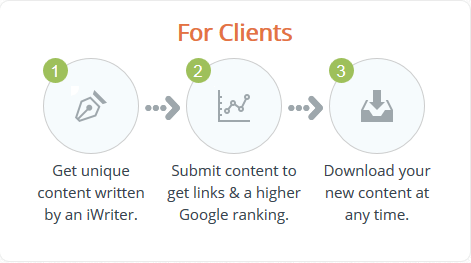 At iWriter, you can get unique quality written content aside from the money making aspect of the writing opportunities. You can ultimately decide on the quality by paying for choosing what type of user status you want to submit to. Have A Kindle Book Written. Payment is available in PayPal only. I prefer PayPal over any other method even though they take a percentage out. 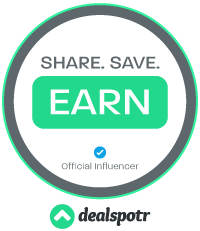 iWriter has a referral program, you must request a referral link and fill out information, like website address along with describing your site as well as yourself. Pending approval you will be issued an affiliate link. To help support my site, you can join here, Join iWriter. They have a lovely blog which has valuable information and is a must read with lots of tips and ideas. Very helpful. Copyscape is used in every article submitted to ensure unique original material. This guarantees nothing is copied from another source and would lead to reduced rankings in search engines, as Google prefers original materials as opposed copied materials. Three warnings from Copyscape as the material being copied you will be banned from the iWriters website. This is valuable to buyers as well as writers, to protect their site and jobs. No limit on the number of articles you can write for iWriter. No auto-pruning for lack of work either. Ability to bypass the Standard status and go to Premium or Elite in as fast as 1 day for $147.00. This might be a good choice if you are a seasoned writer with the skills to pay the bills. Is open to international users as long as they have a valid email address, PayPal account, internet service, computer and of course the skills to write high-quality, unique content. Must pass a grammar test. One and done, as you must pass the first time. Limited support but very effective. There are time limits on writing articles. So make sure you are able to complete the article is the allotted time given. If you don’t do well under time constraints then maybe iWriter isn’t for you. 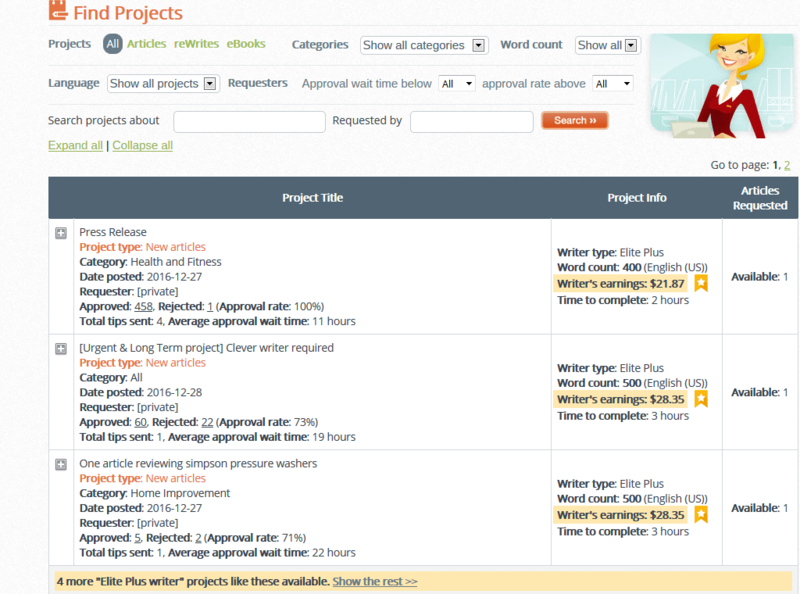 Long approval times, as the Requester has up to 72 hours (3 days) to approve or reject your article. If you are a Client, you need to approve or reject in the allotted time because if you don’t, it will automatically be approved. Anyone can sign up and write and submit articles, regardless of writing skill. This leaves clients with the dubious task of reading poorly written content and also jobs being quickly grabbed by unqualified writers. Your writing may be in vain, as your article needs to be approved before getting paid for it. Would be nice to see live chat added for support. You need to start at the bottom if you are an experienced writer. You’ll need to prove yourself or pay for the Fast Track to bypass. Which is pretty costly at $147.00. If you like using Microsoft Word program to type up the article and copy and paste it to iWriter, you will experience weird characters when you paste it. So avoid using Word. As far as getting content Mondays are usually the best day to request posts due to the lower amount of article queue, and the faster you will receive your request. So, if you need an article quickly, Monday is the best day. Stay on top of articles that are submitted to you as you have three days to approve or reject them. If you don’t do anything, the system will automatically approve the article. Probably the most important tip on getting quality content is by implementing what is in this video on how to correctly request content to be written at iWriter. So, this video is a must if you are looking for content for your site or blog. For obvious reason, if you like a writer’s article save that writer to your list of favorites. This makes it easy to find quality writers and when you have compiled a lengthy list of these excellent writers you can just specifically just submit your request to only your favorites list. This allows little room for being disappointed. Be as specific as you can when filling out a request for materials. The more specific, the better, as this will leave little room for the writer to waiver on. If you need the utmost quality pay for it. By this I mean, paying for the Premium writers. These are writers that have reliably written and have proven themselves through their writing. You get for what you pay for comes to mind. I would suggest you submit your article projects to premium status writers, and this will cut down on the amount of time to review the less desirable writers. Fill out the special instructions detailing anything you want specifically for the article. Need to submit many high-quality projects to earn your way up the ranks to higher levels, Premium, and Elite levels to make more money. So, it pays to work hard and do a good job. Peruse the Find Projects for a potential project that best suits you and will allow you to quickly and easily write about. Pick projects you know something about. Review Requesters ratings as writers also rate the Requesters, just as the Requesters rate the writers. This can help you determine the probability of your article project of getting approved. As opposed to a Requester with a high rejection rating, as they might be more quality driven and stricter on details. Before you commit and click Write Article is highly recommended to read the Special Instructions from the Requester to see if you are capable of fulfilling the request and this will help get your project approved. Always follow the Project instructions as best you can this will help with the approval of the project. Don’t be afraid of going over the minimum word count but you cannot write less than what is stated. It should go without saying you should proofread what you wrote before submitting it. Start out writing easier projects and don’t worry about the pay. The goal here is to increase your status and in time your pay. Writing is just like anything else, the more you do it the better you become at it. TextBroker – Future article planned. iWriter is for writers as well as website owners, or anyone looking for content. Through the email and always on their homepage they give you tutorial videos to help you understand and implement corrective actions on using their site, either you’re a Client (hiring writers) or Writers. This will be basically what you will need to learn. They do not provide English language grammar or writing skills as this is something you need to bring to the table off the get-go. Limiting support is found here but effective. I sent a question via email and was answered in about 1 hour, and this is the fastest email support I have experienced. They have email support, FAQ, and a blog. Clients prices vary depending on various factors. 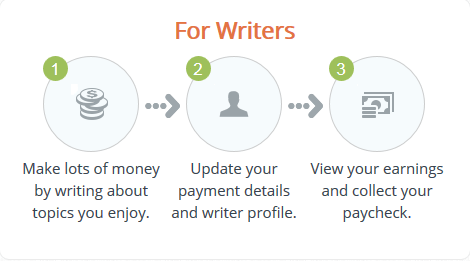 I hope I have answered the question, “What Is iWriter?” It is both a place to purchase quality content as well as make money for writing content. As a new writer here expect a while to make decent money as you have to earn your stripes, as they say. This will take time but if you are a good writer already and follow the go. Good English grammar as well as write decent you could in time do quite well for yourself and make some money. So first focus on improving your status and worry about the money later, this can be accomplished by writing the easier article and not the highest paying projects. Slowly building trust with clients in which they could request you in the future. 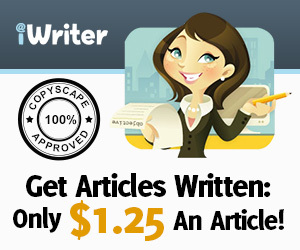 As for Clients looking for content, iWriter has one of the cheapest pricing structures around. Just starting at $1.25 for 150 words. Not too bad. Of course, the more qualified the content, the higher your going to pay. With a vast amount of writers at iWriter, there is undoubtedly someone there to write an excellent article or eBook for you. If you are looking for a 100% legit way to make money by also writing, might I suggest owning your own online business. This system provides the best training online along with the most helpful and friendly community online, with all the support to get you building your online business. I recommend you read my #1 Recommended Program and sign up to get started today. If you have any questions or comment, would love to hear them. Thanks! ‹ Do You Have The Affiliate Marketing Blues? Glad you like it, thanks a lot for the feedback! 1) You cautioned against using Microsoft Word as this may cause strange characters. Am I to understand that as long as I use the form right from the iWriter site, I will not experience that problem? 2) I understand the value of reviewing requesters. It just makes sense. Have you ever experienced or heard of a requester taking an article without giving proper compensation; essentially stealing the work? If so how is that handled? Hey Beth, sorry it took so long to get back to you have been extremely busy as of late. 1. Yes, if you use their form you will not experience any weird characters. 2. I have never heard of this happening before and I am not sure what steps are in place if this does happen. I might suggest you ask them either through their contact page or through a new support ticket. Hope this helps. Let me know if you find out anything, as this might be helpful for others. Thanks! Glad you like it. Have you joined it or are thinking about joining?